So, it’s D-Day and a half. You can still delight Mama with something that she’ll actually like/love and use. Appliances* seem cliche? Trust, if it makes her life easier (healthier…better), she needs one, etc. – Mom will love you even more for it. And for not grabbing some last-minute crap, err gifts, at CVS or the gas station. From 12am (CDT) May 11 to 11:59pm (CDT) May 21, everyone gets $10 Kohl’s Cash® for every $50 spent in store, online, at a Kohl’s Kiosk or with the Kohl’s App on all sale, regular and clearance-priced merchandise! Maybe the Cuisinart Aura Red Teakettle as a stand-alone or along with the beautiful cookware below? 2 qt. stainless steel retains heat. Or, the Cake Boss™ Serveware Cake Carrier – especially if Mom is a fan! Or, if spend a little more and get the Queen – NutriBullet Superfood Nutrition Extractor & Blender Set. 8-pc set. What kitchen couldn’t use this #gift? J.A. Henckels International Tool Set. This 6 pc. Stainless Steel set includes tongs, silicone spatula, silicone turner, nylon turner, silicone serving spoon and steel serving spoon. All dishwasher safe. Mother loves to cook & big family dinners? Gift the Cuisinart Chef’s Stainless Steel Cookware Set in the Classic Color Series. 11-Pc set with glass lids. And it’s pretty. Would Mom love to serve cocktails in these classic cut Marquis by Waterford Brookside Double Old-Fashioned Glass Set? 16 ounces with the usual Waterford heft. Marquis by Waterford Markham Crystal Champagne Flute Set. 4 pc., 9 oz. Marquis by Waterford Brookside Wine Glass Set. OK, stop telling yourself it’s too late. Cancel the planned TV marathon and get to the mall. 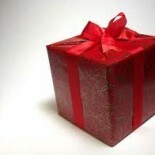 We hope you find the perfect gift or at least get some perfect ideas for your gift recipient. Please do check out more of our Frugalista Gift posts for gift inspiration or that just right presentation. We also love to hear your comments and suggestions. Please share posts you find helpful. This entry was posted on May 13, 2017 by frugalistagiftguide in Bundling, Cook, Entertaining, Household, M, N, O, Occasions, Uncategorized, V, W, X, women's and tagged baker, cook, entertainer, Frugalista gifts, gift ideas, Mother's Day.